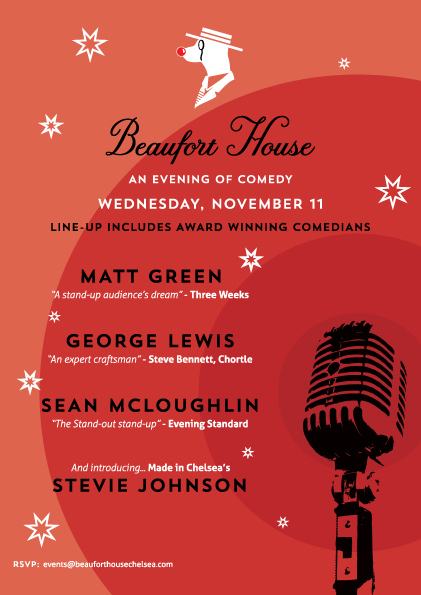 This months fantastic line-up of up & coming comedians at our Comedy Night in Chelsea, include Matt Green, George Lewis and Sean McLoughlin. We also have special guest Stevie Johnson in the House. Stevie rose to fame as part of the cast of Made in Chelsea, but what you may not know is that he is also a talented writer and performer! Entrance is only £5 per person, and includes a complimentary cocktail.